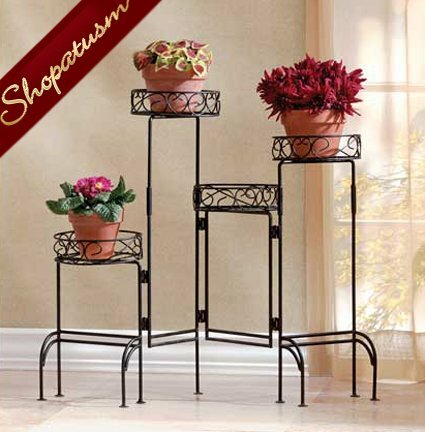 This is for a Black Metal Screen Four-Tier Garden Plant Stand Screen from Shopatusm. Form meets function in this versatile design! This interesting screen has four graduated-height panels, each topped with a secure plant shelf; foldable to fit any area. 32 inch x 6 1/2 inch x 24 3/4 inch high. Black finish metal. Plants and pots not included.